Finished two more characters, the chaser and an owl. Made one new map, but have figured out how the other maps will look. Also by this point it feels like the game will be a silent game haha. I should have put some thought into music/sound in general. Oh well. I'll figure something out somehow...! Ah thank you so much~ I'm working hard on them, trying to find quick methods on finishing stuff...! Ah thank you~ My update are few mainly because my thing is a small demo and I don't wish to give away too much. Well anyways my game project is called Paranormal Alice, main character is Alice of course, where she is hanging out at her friends work place and they all decided, in the demo there will only be 1 of her friends since poor time management, to tell ghost stories. Each of Alice's story will be a chapter each, as I want to keep the game light hearted with no death upon game over. Finished Alice's walking sprite, alongside her 1 friends. 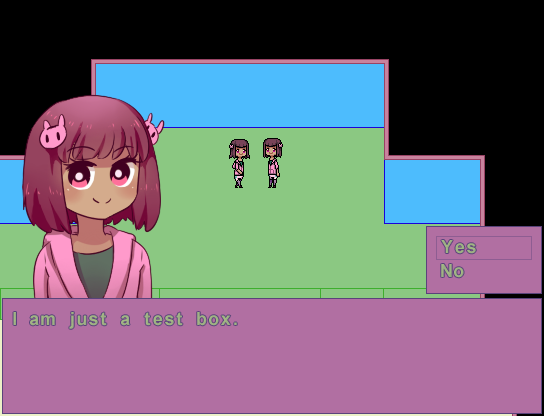 I need to make at least 3 more to make the demo playable, but they are NPC's not related to Alice but for the actual first chapter. I made her sprite, and her friend's, in Graphic's Gale. Finished both Alice's and her friend's portraits. Spent a long time figuring out how to format the window skin for the chat box and menus, was surprisingly hard to figure out what I wanted. I made the background entirely in Graphic's Gale, along with the window skin. Finished the first map, with super basic lines and no shading to ensure I don't have to do too much for the first chapters maps so I can at least get them done for the demo. It took awhile to figure out how to parallax in RPG Maker VX Ace. I've never been able to do it as smoothly as I have done it here before. 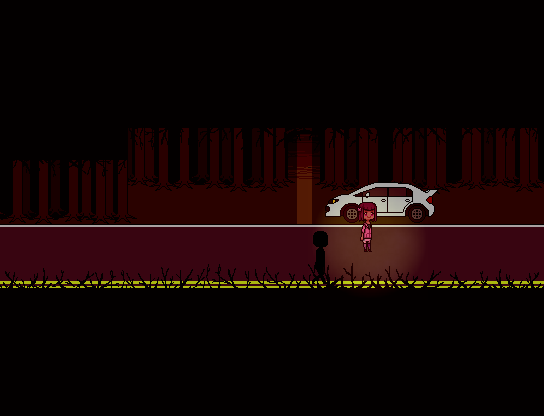 Figured out how to make my cute game have some atmosphere haha. Also realized I wanted a more simple menu and a name box. I next plan on working quickly on a game over screen and the main menu for when you start up the game. Still I'm trying to reach my only goal of "Finish a working game demo." Oh also the story in the demo actually happened to my brother, or parts of it have. 1. Hey I'm Harley, but I would be preferred to be called by my username or Razz. I'm just a small city girl from Canada. 2. I didn't participate last time and didn't even know about these type of things before but it seemed like fun and I wanted to try and get better at pixel art, or at least get faster at making them. I probably won't get super far as I'm doing this by myself but it won't stop me from trying. 3. The type of games that really got me into game making was actually RPG Maker horror games. Something about the story telling and simple game play talked to me. But not only just horror games made in the engine I also enjoy stories that aren't too fast paced or scary, I enjoy the cute ones too. But I do enjoy a good actual RPG here and there. The actual games I like are Ib, Skyborn, Harvest Moon series and Undertale. 4. 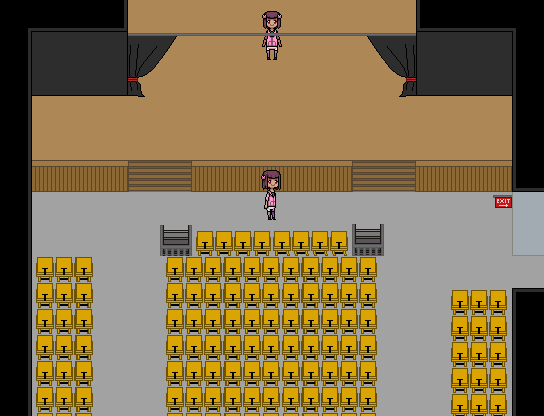 Just playing around in RPG Maker XP. Then I moved onto VX Ace and kind of played around with making events, I'm a super beginner at stuff like this...! Also I'm not actually good at any other engine or have tried. They are too far out of my reach this time around. 5. I'm not really sure what I'm super passionate about? Haha still trying to figure out my own life and what not. I guess I like pixel art and drawing my own characters. I also love figuring out a story and applying it to my characters. I may be a tad shy sharing my ideas but I hope it doesn't stop me from doing it anyway.